How much does a Pre-Purchase Inspection cost? If you’re in the market for a second-hand car, getting a Pre-Purchase Inspection done by a professional mechanic before handing over any money will help give you that added piece of mind. Pre-Purchase Inspection can cost between $130 - $300, depending on a few factors. How does a Pre-Purchase Inspection work? During a Pre-Purchase Inspection, a mechanic will visually check over the vehicle and also take it for a brief road test, to make sure that everything is working as it should be and that there are no apparent issues. A Pre-Purchase Inspection aims to simply notify you of any problems with the vehicle, and is not designed to fix any of these problems. Why should you get a Pre-Purchase Inspection? Buying a used car can be a stressful time, as there is always the possibility that the vehicle you have your heart set on has had a hard life in the hands of the previous owner. Whether it be accident damage, poorly performed repairs or just neglect, having the vehicle you are interested in checked by a professional mechanic will ensure that you’re not buying a lemon! How is a Pre-Purchase Inspection carried out? A Pre-Purchase inspection inspects most aspects of a vehicle, including exterior and interior checks, as well as checking the engine bay, wheels and tyres, brakes and suspension. The vehicle will then be taken for a road test to check for engine and transmission operation. 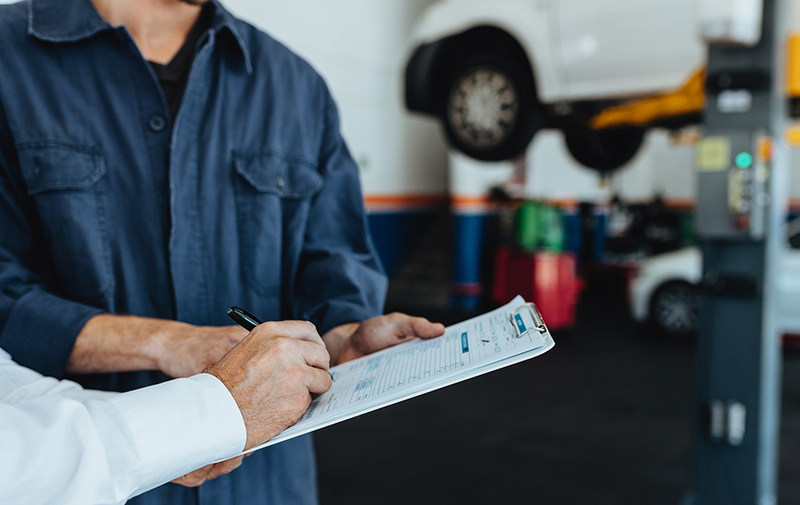 The examiners have usually seen many types of vehicles in almost every condition, and can give you an expert and unbiased opinion on the vehicle you are looking at purchasing. Once the inspection has been carried out, a detailed report (view sample report) will be sent out, along with any additional comments or notes from the inspector. Should the pre-purchase inspection identify any faults or repairs that are required, these issues can be used to negotiate a reduced price with the seller before purchase. If the vehicle is given a clean bill of health, you will have peace of mind that you are purchasing a vehicle in good condition that will provide safe motoring for you and your family. AutoGuru can also provide servicing prices for the life of the vehicle, to help you plan for the future maintenance of your new vehicle. AutoGuru’s full terms and conditions are available on the website and should be considered before ordering a Pre Purchase Inspection Report. Customers should be aware that AutoGuru is a booking service and the vehicle inspection services are performed for the customer by a third-party automotive supplier, experienced in inspecting motor vehicles. The third-party automotive supplier that performs the services is responsible to the customer for carrying out the inspection and preparing the report.